We listen. We care. We serve. Illinois Specialty Growers Association supports promotion, research, and education efforts for improving the marketing and quality of production of specialty crops grown in Illinois. 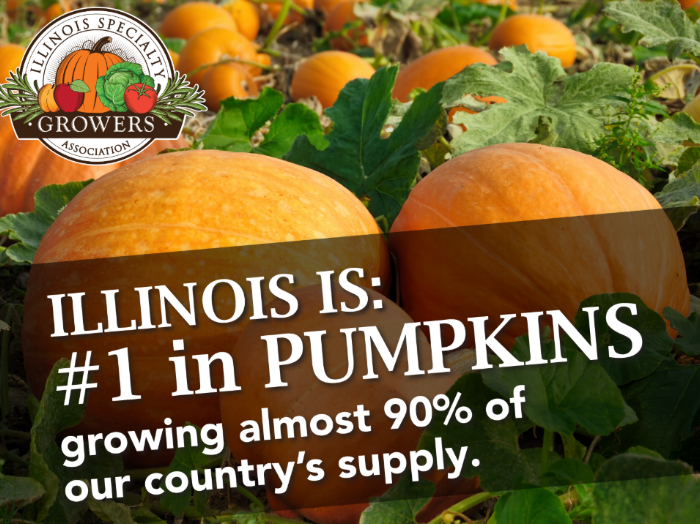 Join over 3,600 established specialty crop farms utilizing more than 81,250 acres to produce over 472 million dollars in sales annually within Illinois. The 2020 Illinois Specialty Crops, Agritourism, and Organic Conference and Trade Show was Jan. 8-10, 2020, at the Crowne Plaza Hotel and Convention Center, Springfield, Illinois. Do you want to know more about who the Illinois Specialty Crop growers Association members are? Do you want to know more about Illinois Specialty Growers Association? Although retired from actual herb growing and farming, Mary still remains actively engaged in full support of the herb industry and agribusiness. Since Rick Weinzierl’s retirement in May 2016, Illinois has operated without an entomologist for specialty crops. This puts all specialty growers in a very dangerous situation. Did you receive a call from "Expo Housing Services"? It's not us! Do you think you received a call from us about the upcoming conference? Please do not accept or return a phone call from Expo Housing Services, 866-319-3979.